Typically, you don’t see news about bears in Get Growing. We almost always leave that topic to the experts – Bear Smart Durango and Colorado Parks and Wildlife – while we delve into the more challenging topics of ripening tomatoes and deadheading flowers. But bears like fruit. Serviceberry, chokecherry, apples, pears and plums (just to name a few) are known delicacies for the area’s ursine population. During busy bear years, such as 2007 and 2012, it was not uncommon to see bear damage to the area’s fruit trees. 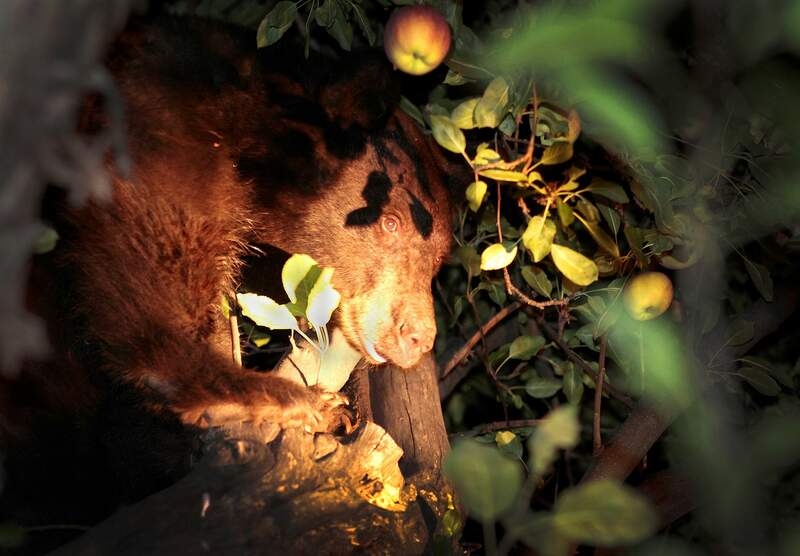 Consumed fruit, broken branches, destroyed trees and human-bear interactions were seen throughout the county. Pick fruit as it ripens and remove all fruit that has fallen to the ground. That may sound like a lot of work – and it is – but hopefully you have the ability to store or preserve much of the fruit. Have friends and family over to help harvest your fruit trees. If you live outside the Durango city limits, electric fencing around the tree or orchard can be a very effective deterrent. Over-ripened or unused fruit can be collected for livestock feed or compost in our agricultural areas where bears are not present. Recently, Colorado State University Extension started a “Fruit Tree Gleaning” website. Go to www.laplataextension.org and click on “Horticulture” then “La Plata County Fruit Tree Gleaning.” Here you will find a listing of homeowners who have an excess of tree fruit and would be willing to have you assist in the harvesting. If you are one of these homeowners, call 382-6463 to put your name on the list. We only need your contact information of choice, type of fruit tree(s) available and your general location. Our hope is that we feed our community members instead of the local bear population.